Long day but not far. Today was pretty much a travel day so I wont bire you with too many details. To get the InterIslander at 9:00am, required a check by 8:00am, which meant getting a shuttle from the hostel at 7:30am. So an early start. POD and disco would join me for the day on the ferry and the water taxi. I got checked in at the InterIslander and was given a blue wrist band to put on. This was my ticket to access the premium lounge onboard courtesy of InterIslander who sponsored me a free ride across Cook Strait and kindly provided an upgrade. Awesome! 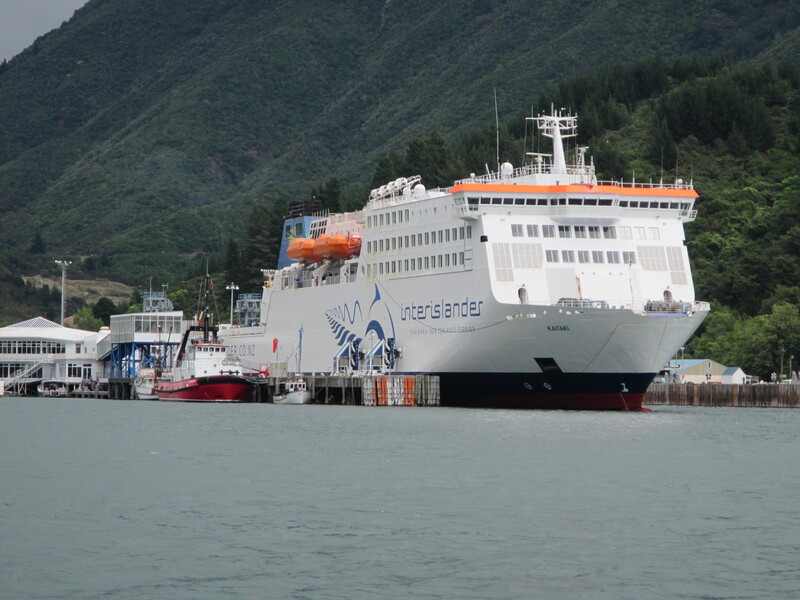 Thank you InterIslander, very much appreciated. On board I was treated to a nice soft lounge to laze abouton, a cooked breakfast and as much coffee and cold drinks as I wanted. The crossing itself was straight foward. If you’ve been on a big ferry before, like the Spirit of Tas, it’s basically just a shorter version. It was fairly calm despite the wind and made for a smooth voyage. 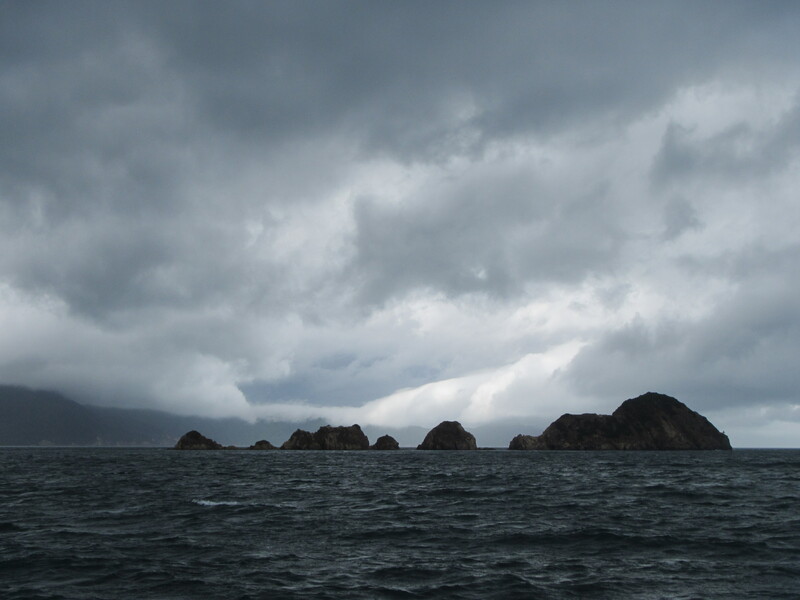 Once across the Strait the boat wound it’s way through the sounds towards Picton. The hills were covered in low cloud and misty rain. 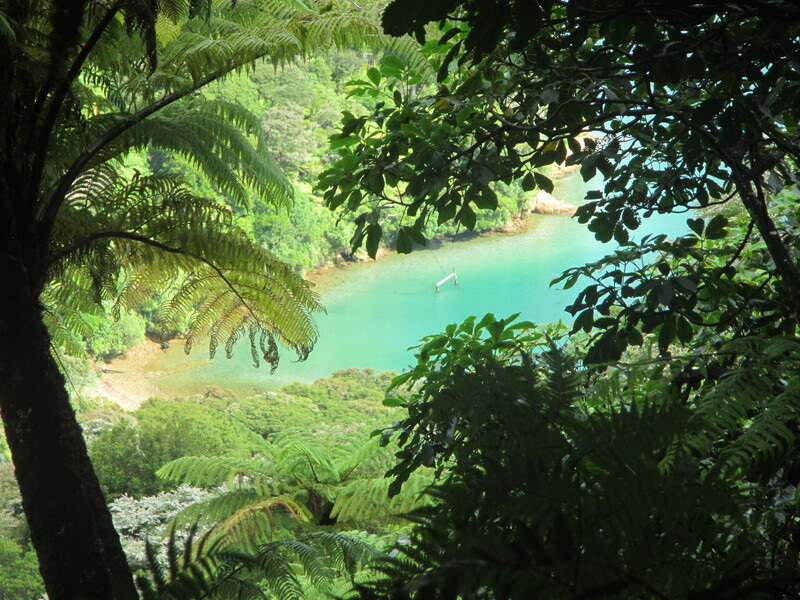 Arriving at Picton was much like the airport with a scramble to retrieve baggage and move onto your next destination. I’d timed the ferry and water taxi perfectly with a half hour gap between arriving on one before getting on the next. With my pack in tow it was a quick 10 minute walk to the water taxi. The watertaxi is basically the mail boat that delivers mail bags and packages to all the isolated settlements dotted on the banks of the sound with no road access. I’d managed to get a ride on the Saturday mail run. That was a pretty cool ride. Smaller boat so seemed faster and we got to check out many of the smaller coves and settlements on the way to Ship Cove. It was a late start on the trail, arriving at Ship Cove just before 4pm. So a big day of travel really. 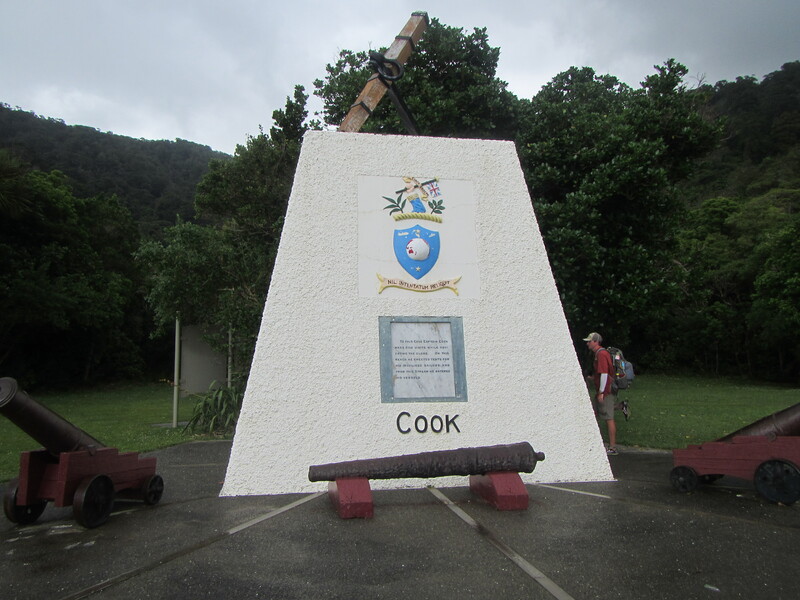 Ship Cove was named by Captain Cook who visited this site 3 times, running his boats onto the shore to get them cleaned and repaired. 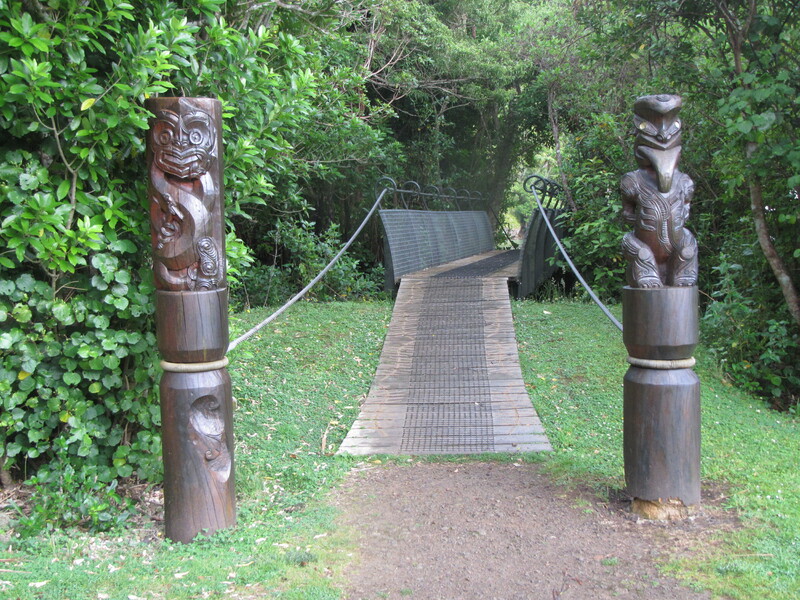 There are monuments for both the Maori and Cook marking the cross over between the two worlds, who Cook and his men formed good relations with. With all the travel during the day I really couldnt be bothered chasing big miles today and settled to pull up stumps at Camp Cove, the first camp site on the Queen Charlotte Track and only around 3km in on the trail. The next official site was 10km away and I while I’m sure I would have easily made it, decided not to push too hard. Besides I essentially have 5.5 days to complete the QCT and get to Nelson to meet Jacinta. I’m certain at my current TA pace and the highway standard of track on the QCT, I could easily complete the trail in 2.5 to 3 day. With 5 days up my sleeve, there was no need to rush. Days end at Camp Cove. A couple of other TAers who I yet to meet, Andrea and Mario from Switerzland, arrived a bit later and we spent the evening cooking dinner overlooking the crystal clear waters of the protected cove. No waves, just stillness and water clarity like you couldnt believe. Wonderful that you struck the mail boat and got to see lots of the little coves. It is another world down there. Watch out for little caves – take your headlamp in and you should see native cave wetas. You may also see glow worms if you creep in quietly and before you turn on your lamp. You probably know about glow worms which also populate mossy banks with a bit of an overhang. You need to go on a night walk for these though. thank you. I start at the South Island January 2, using your blog and your movies on YouTube as a guide. did it go well with your supply boxes? I want to use the same places as you. Hey Tom. My resupplies worked well for me. St Arnaud is small and expensive. You could resupply there but it would be basic stuff at high prices. I would recommend sending to St Arnaud and Arthurs Pass. The shop at Arthurs Pass is very small, limited selection and very expensive. 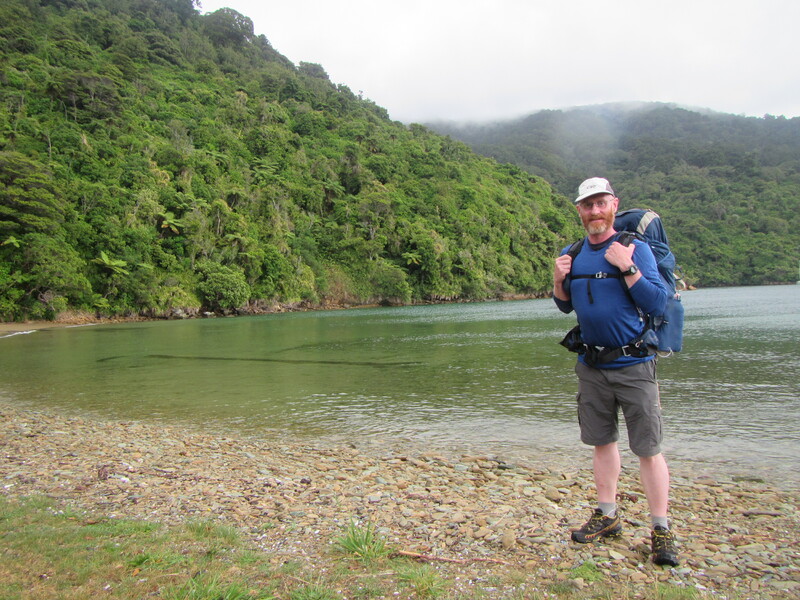 Ypu could get away without sending to Boyle Village if you hitch to Hamner Springs and you could avoid Lake Coleridge as well if you hitch to Methven (a lot of people do that) but the hitch to Methven can be difficult and getting back on trail as well. can I ask how your internet connection on the phone was through the south island and what company you used? Phone coverage was pretty crappy through most of the South Island, particularly in remote parts like Richmond Range and St Arnaud through to Boyle Village. Although you do get coverage in some strange spots and on high ground, like Rintoul Hut in Richmond Range and ontop of Rintoul itself. I used Spark – widest network coverage outside city areas. Vodaphone is popular in cities but doesn’t have the coverage. Plus spark have free wifi hubs scattered all over the country.